Where is the Housing Inventory? Home prices are soaring nationwide. Houses are flying off the market in record time. It sounds like sunshine and rainbows for the housing market right? 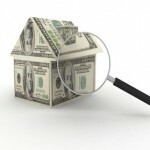 Are home prices rising too fast though? Is it sustainable? In the super-hot markets – like San Francisco and San Jose, CA along with Austin, TX – median prices have risen to levels that are pricing average Americans out of the market. San Jose, CA recently became the first metropolitan area to cross the median home price of $1,000,000. In San Francisco, CA it’s $855,000. Yep, you are reading that right. The average home price in San Jose is over a million US dollars. In Austin, TX – the Millennial mecca – median home prices have risen to $400,000. Based on the summer residential construction numbers home prices in those cities and elsewhere around the country are not done yet. July numbers were weak again. Housing starts rose in July while permits fell from the previous month’s rate for the third consecutive time. Both indicators, however, regained a positive year-over-year status. The U.S. Census Bureau and the Department of Housing and Urban Development reported that permits for residential construction were issued at a seasonally adjusted annual rate of 1,152,000 in July, 0.1 percent fewer than the 1,153,000 annual rate in June. The June rate was reported as revised, but that revision was lost in rounding. Permitting rates fell below those for the comparable month in 2015 in both May and June, by 10.1 percent and 13.5 percent respectively, but managed a miniscule 0.9 percent year-over-year gain in July. It wasn’t just permits to build single-family homes that were down. Permits to put up much needed multi family – condo or apartment buildings with five units or more – also dropped year over year by about 39.2%, to just 36,600 in June. The U.S. Census Bureau today projected the United States population will be 322,762,018 on Jan. 1, 2016. This represents an increase of 2,472,745, or 0.77 percent, from New Year’s Day 2015. Since Census Day (April 1) 2010, the population has grown by 14,016,480, or 4.54 percent. It’s not only population growth that is stressing the housing supply. Millennials have grown into the largest demographic in the United States – overtaking the Baby Boomer generation. Nearly 31.2 million of those Millennials are ages 18 – 24. This group should be leaving the nest very soon – if they can afford it. Many are burdened by student loan debt and dealing with stagnant wages. Rising rents and home prices are not helping their plight. Some will have no choice but to stay the comfortable embrace of their parents house a lot longer than they – and probably their parents too – would prefer. The bottom-line is that we aren’t seeing enough to construction to keep pace with demand, and for apartments, we’re actually seeing less compared to last year. New construction is failing to keep up with household formation, which means that inventory will continue to be an ongoing issue throughout 2016 and into 2017 – if not longer.